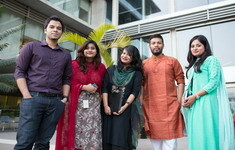 Grameenphone’s Next Business Leader program is designed to offer a fast-track career to talented fresh graduates where they can grow and become leaders for the future. They will have the opportunity to work in roles that are currently prevalent and critical in nature not only in the telecommunications industry but for most of dynamic organizations. What are the career fields open for an NBL? Having a thorough understanding of our core business through stints in departments across the organization, Next Business Leaders will eventually specialize in fields of Commercial, Technology and Techno-Commercial which will cover roles starting from Analytics to Virtualization. As the industry transforms, the organization will look up to these individuals to take on challenges and lead the race in Digitalization. 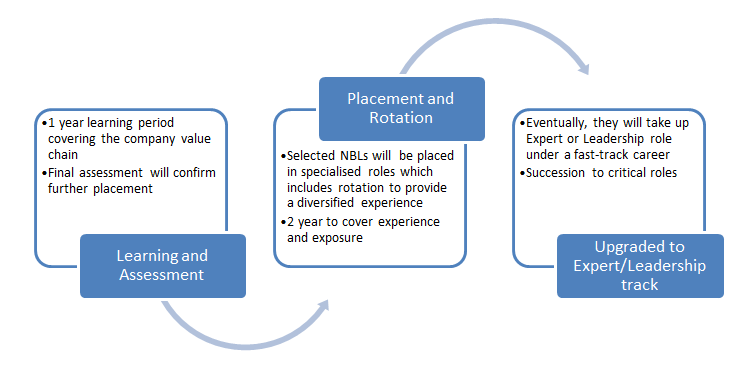 What does the NBL journey look like? Selection to the NBL program involves a rigorous process, where candidates are tested on their ability and potential to be the next generation leaders of tomorrow. Typically, a Management Trainee of Grameenphone goes through atleast 3 phases of assessments before finally being selected. in Bangladesh, a number that is always on the increase." in Bangladesh to reach the deep rural markets." "I prepare communication that reaches 60 million customers." 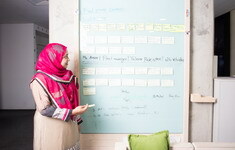 Product & Project Management in a very short time." "I blend my knowledge of engineering concepts with business & expertise by taking a data driven approach to everything I do, be, making an app, running Facebook marketing campaigns or even managing my team." "My career is more than a job as I see the impact of my work in the customers daily life, in their joy or sufferings." "I contribute by helping customers immerse themselves in the digital experiences we have to offer." "I contribute by making digital financial services accessible to the unbanked population of Bangladesh." "I love the challenges in my career because I have the spirit and confidence to successfully win those and it helps me to improve myself everyday." Applications are now open for the Next Business Leader Program. The last date of application is 25 December 2017. The Program is expected to commence from February 2018.